The Collectors’ Preview Edition of A Game of Thrones by George R. R. Martin, Book One of A Song of Ice and Fire. 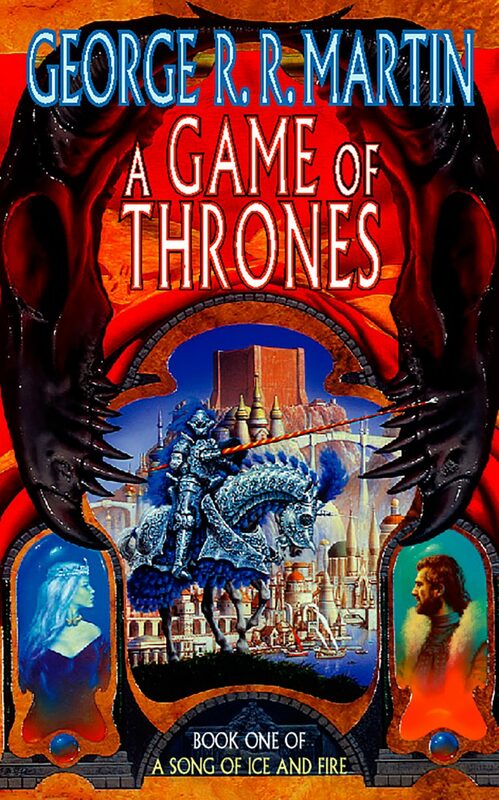 It was in 1993 that George R. R. Martin–already an acclaimed author of science fiction and horror novels, and well-known for his work in Hollywood as a screenwriter on The Twilight Zone and Beauty and the Beast–decided he needed a broader outlet for his creativity and conceived of A Song of Ice and Fire, a truly monumental fantasy series. Little did he realize at the time of conception that this series not only would come to redefine the entire fantasy genre but was destined to become a worldwide cultural phenomenon when the series was adapted for television by HBO under the title Game of Thrones. 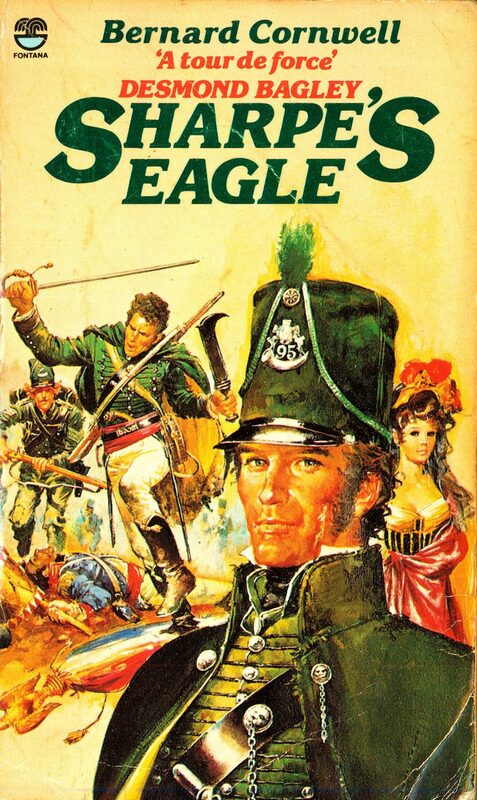 The series–originally planned as a trilogy–was acquired by HarperCollins UK for what was at the time the largest advance ever paid in the UK for such a work. 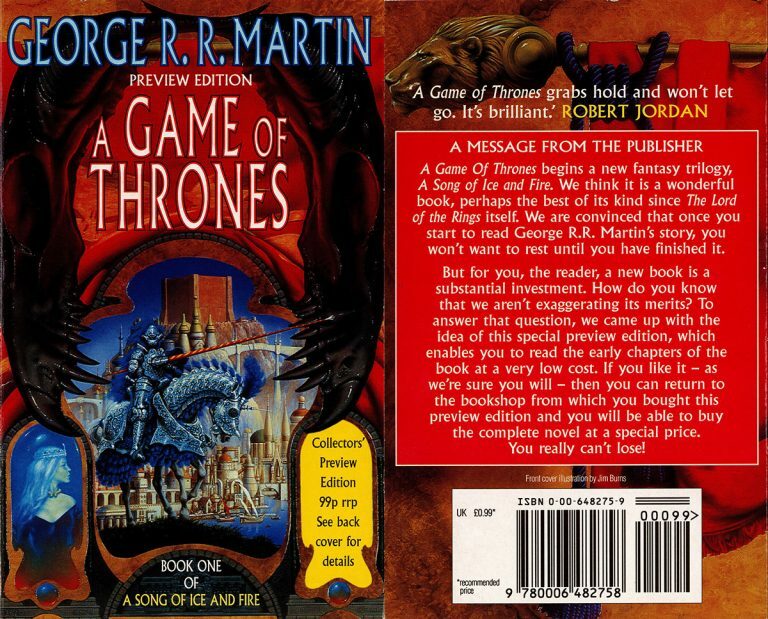 The first book, A Game of Thrones, was delivered as a manuscript of over 1,100 pages and published in 1996. 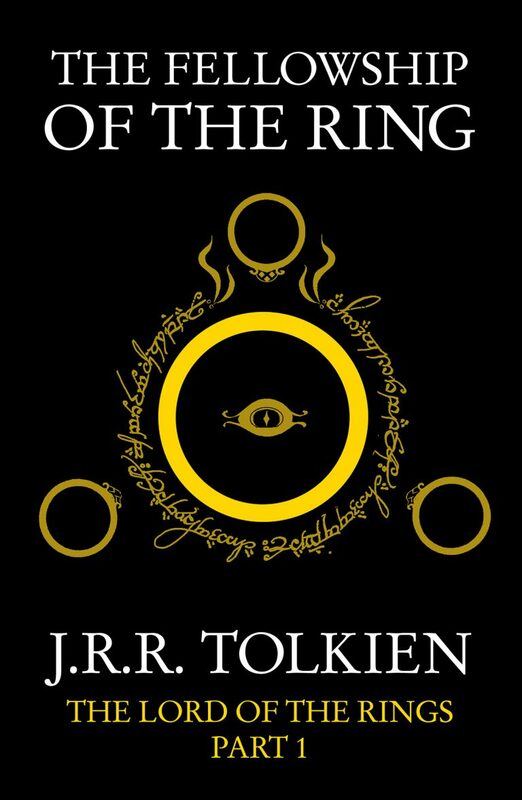 It became clear that the tale was to grow in the telling: soon it had expanded into a series first of six, then seven books, five of which–their narrative covering more than 4,200 pages–have already been published. From a modest initial print run, the series has now sold more than 60 million copies worldwide, and has been translated into more than 40 languages. 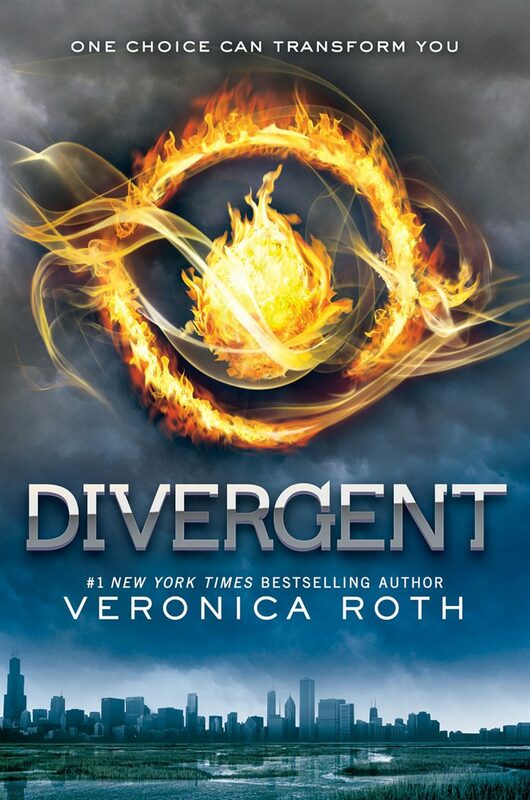 Meanwhile, the HBO adaptation has attracted many millions of viewers worldwide and has won numerous Emmy Awards. Martin is signed with the imprint Harper Voyager in the UK and Australian markets.